Called Signature Villa, the property was gifted to him by Nakheel Public Joint Stock Company. The dispute was over whether this was a gift or payment for services Khan had rendered to the company. A Dubai villa owned by Shah Rukh Khan was out of the tax ambit, the Income Tax Appellate Tribunal (I-TAT) has ruled. Since the villa was gifted in the assessment year (AY) 2008-09, it was tax free, ruled the I-TAT. The I-T Act was amended in October 2009 to include any gift valued more than a certain amount to be taxable. 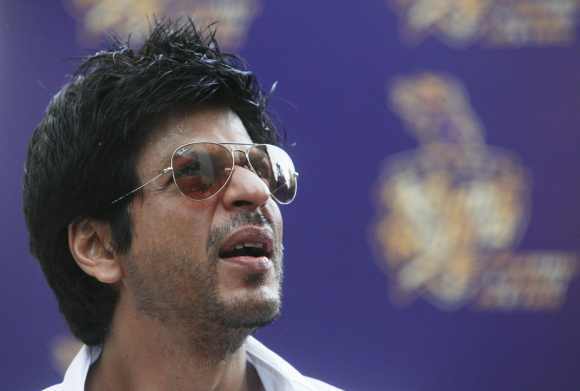 An I-T officer assessing Khan’s 2008-09 income had revised it to Rs 144.17 crore against Rs 126.31 crore declared by him. The difference of Rs 17.9 crore was the value of the villa. The assessing officer had contended the value of the property was the “professional receipts” taxable under Section 28 (iv) of the I-T Act, 1961. Khan, in a letter on November 11, 2010, denied rendering any professional services to Nakheel PJSC. He said Sultan Ahmed Bin Sulayem, a senior executive of the company and his friend, had gifted him the villa. Khan also said there was no contractual agreement. The assessing officer had argued that a major source of Khan’s income was endorsing products and performing in stage shows. In 2008-09, the actor had charged Rs 6.5-8 crore for each endorsement. He said the Nakheel PJSC was using the actor’s image to endorse its Palm Project since 2004 on its official website and other media. Khan had visited the project in 2004 and 2005, and had taken part in an annual day celebration there in 2007, said the officer. He added that since Khan had not objected to the use of his image it could be presumed that he was endorsing it, and the gift of the villa was a mean to evade taxes. The actor demurred before the Commissioner of Income-Tax (Appeals) and also disputed the value of the villa. He said according to a property valuation report issued by Hamptons International the value of the villa was Rs 14.69 crore in 2007, when it was gifted. The CIT had upheld the assessing officer’s order, but also agreed with Khan’s claim of the property’s value. Both the I-T department and Khan moved the I-TAT. Explaining the order, Maneet Puri of Taxmann said according to the old law, receipt of only monetary gift above Rs 50,000 could be taxed. Receipt of gift could not trigger tax under such provisions. “This case pertains to AY 2008-09 when the old law was applicable. In the absence of specific provision for taxability of such a gifted villa to Shah Rukh Khan, the I-TAT held it was not taxable,” he said. Image: Shah Rukh Khan. Photograph: Reuters. Shah Rukh gets paid more than Salman, Akshay! Here's how much Akshay, Shah Rukh have earned!